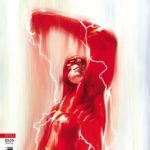 DC has the official seven-page preview for this week’s issue of The Flash, and you can see it at CBR. As per the solicitation, you’ll notice many Multiversal Flashes in the preview, including some who haven’t been seen in quite a while such as Tangent Flash, Fastback, the Flashes of Kingdom Come and the Justice Riders, and many more. The primary cover is at left, and the variant is shown below. 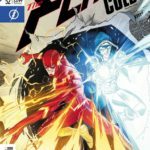 This entry was posted in Flash News and tagged previews on August 7, 2018 by Lia.